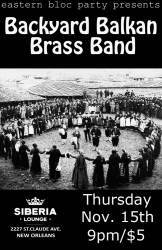 Siberia's weekly evening of live Balkan. Klezmer, and Roma music. 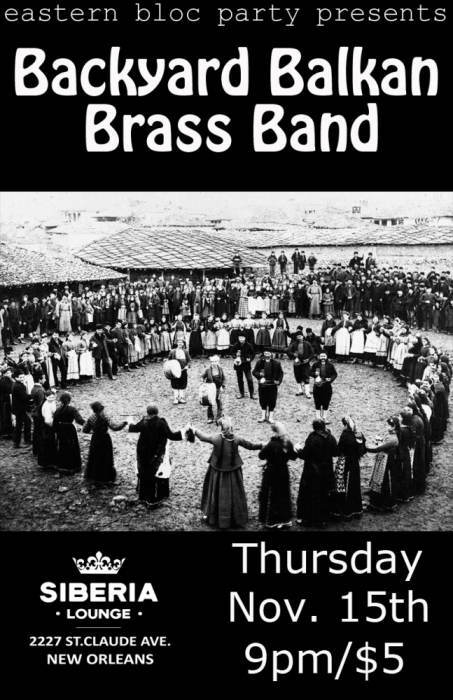 Tonight: Backyard Balkan Brass Band. You will dance!